Patch 7.5 releases today, and introduces the Survival Mode Beta to Fallout 76, which is a new game mode featuring fewer restrictions and higher-stakes for Player vs. Player (PVP) combat, Scoreboards for tracking your stats, a bonus on all XP you earn, and Legendary item rewards for new Weekly Challenges. We’ve also renamed the standard Fallout 76 experience “Adventure Mode” and have removed incoming damage from players you are not hostile against. Download sizes for today’s patch will be approximately 4 GB for consoles and 2 GB for PC. Mode section above also applies to Survival. On death, players will drop a random amount of the Aid items that were in their inventory in addition to all their Junk. Cap rewards for player kills, and Cap deductions on death, have been doubled in Survival Mode. The Seek Revenge respawn option has been disabled and will not appear when attempting to respawn. When killed during PVP combat, players can choose to spend a portion of their Caps to place a Bounty on their killer. This will mark that player as Wanted and display the Bounty amount on all other players’ Maps. Fast Travel is limited to Vault 76, the player’s C.A.M.P., Train Stations, and any Workshops that player owns. 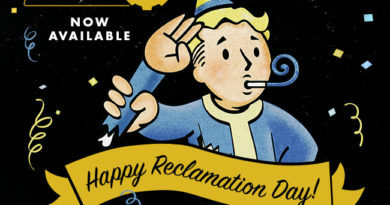 Respawn is limited to Vault 76, the player’s C.A.M.P., and Train Stations. The brief period of invulnerability applied to characters after Fast Traveling or Respawning in Adventure Mode also applies to characters in Survival Mode, and is also removed if the player fires a weapon before the time expires. The Map will not display players’ locations unless they are currently Wanted or among the top three on the Longest Life Scoreboard. Scoreboards have been implemented, which rank players in the current world across a variety of stat categories based on their performance during the current life, as well as their best life for the week. These stats include: Longest Life, Player Kills, XP Gained, Events Completed, Enemies Killed, Bounty Collected, Time Wanted, and Workshops Claimed. Players’ stats travel with them upon switching to new Survival worlds. View the Scoreboards by opening the Map and pressing D-Pad Left on Consoles, or on PC by clicking the new compact Scoreboard widget on the Map. The top three players on the Longest Life Scoreboard will display a Gold, Silver, or Bronze medal next to their player icons. These medals also appear on the Map to highlight the top three players’ current positions for all other players in that world. A new recap screen will display on death, allowing players to view their stats from that life and compare them to their best life of the week. Friends who are currently in Survival Mode worlds now display a campfire icon next to their names in the Social Menu. Robobrains: Removed an unintended glowing visual effect from Robobrain heads. Performance: Addressed an issue that could cause a performance reduction if a player was killed while disconnecting from a world. Servers: Addressed multiple issues that could affect server stability. Signal Strength: Addressed an issue that could cause a door switch to go missing in the National Radio Array Control Room. Change Appearance: Appearance changes that are not accepted by the player no longer occasionally persist after exiting the Change Appearance menu. Hotkeys: Addressed an issue on PC causing the hotkey for the “Toggle Premium” filter option in Workbenches to have no effect when pressed. 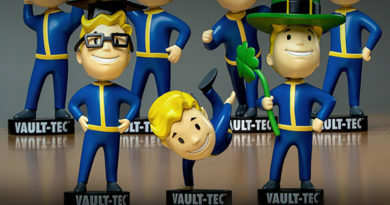 Nukashine questline, and the Brewing and Distilling crafting system, to appear in English while running Fallout 76 game client in languages other than English. 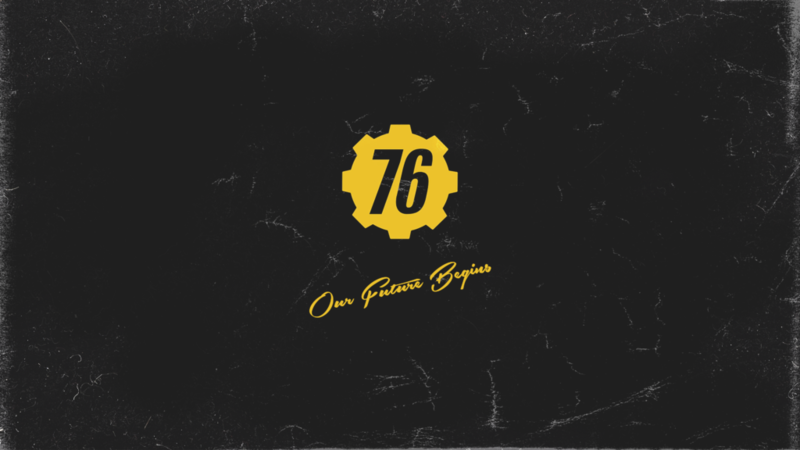 Localization: Fixed an issue that could cause the text on the Nukashine bottle’s label to extend beyond the edges of the label when running Fallout 76 in languages other than English. 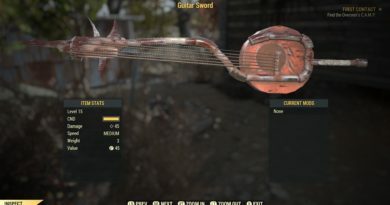 Localization: The “Toggle Unlockable” and “View in Atomic Shop” options while previewing unowned Atomic Shop items in a Workbench no longer display placeholder text when running Fallout 76 in languages other than English. Localization: The “Destroy” option that appears when viewing an item while over the absolute weight limit no longer displays placeholder text when running Fallout 76 in languages other than English.